Most women know that cleansing your face daily is essential, as is moisturising. So, at least once a day, usually in the morning, most of us follow a two-step facial routine. The last couple of years however, a new step has been proposed for our daily face-care: the application of a skin serum prior to our moisturiser. Plenty of luxury cosmetic houses have introduced skin serums for different skin needs in their product lines. We are being bombarded with advertisements for these miracle elixirs almost everywhere, from magazines to television to the internet. So, it is only natural that a fair number of us starts questioning whether all this fuss actually has a point or it’s just an advertisement stand to sell to women another useless cosmetics product. My personal experience says it is not another useless product, on the contrary it is something worth paying attention to. But let’s take first things first and clear the air by looking at what exactly a skin serum is. Many women often wrongly confuse a skin serum with a moisturiser. A moisturiser is a product to keep skin hydrated and protected from external factors, like the sun. It is made of large molecules, that only work on the upper layers of the skin, forming a barrier to seal moisture in. A skin serum, on the other hand, has a very high concentration of active ingredients formulated to penetrate and deliver those to the deeper layers of the skin. It is loaded with nutrients, vitamins, antioxidants and natural ingredients that work, from within, faster and more effectively. A serum can contain up to 70% of active ingredients, while a face moisturiser only up to 10%. That explains why they are so much more expensive than ordinary moisturisers. 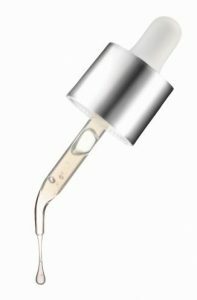 Serums usually come in a creamy gel form and are mostly water-based. They exclude thick ingredients, like mineral oil as well as thickening agents, like seed oils. They are made of very small molecules that are easily absorbed by the skin and travel deep within. Some believe that a serum can replace your daily moisturiser. However, it is best to use it as an add-on to your skin beauty regime; it will boost the effectiveness of any other care rpoduct you use. Their biggest asset is that they are designed to target specific skin issues. Since skin serums contain a high amount of nourishing agents, they help in restoring moisture and elasticity to the skin while regulating oil production. 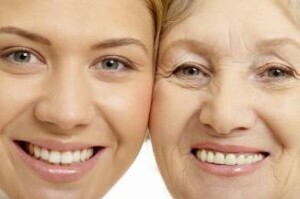 Additionally, they can soothe fine lines or wrinkles, reduce age spots, tighten pores or help with acne problems. Messy toddlers do it right !